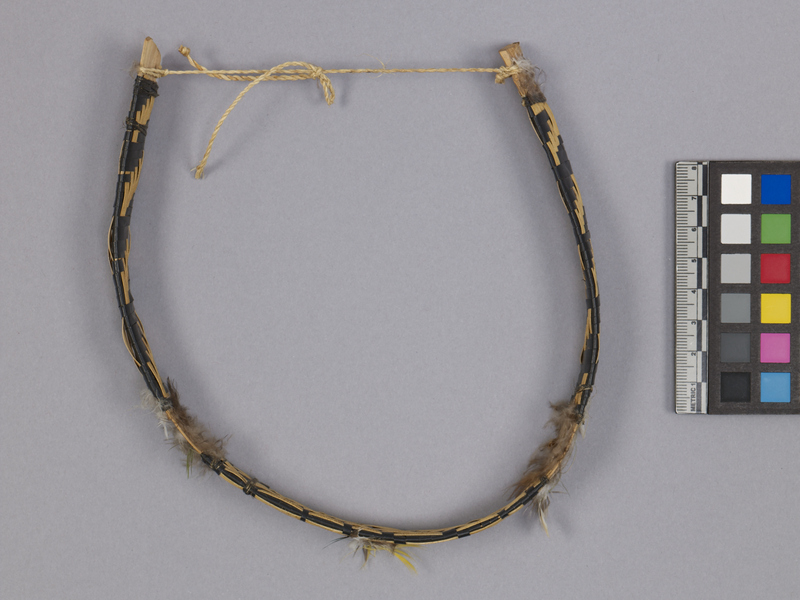 Item number 3077/32 from the MOA: University of British Columbia. 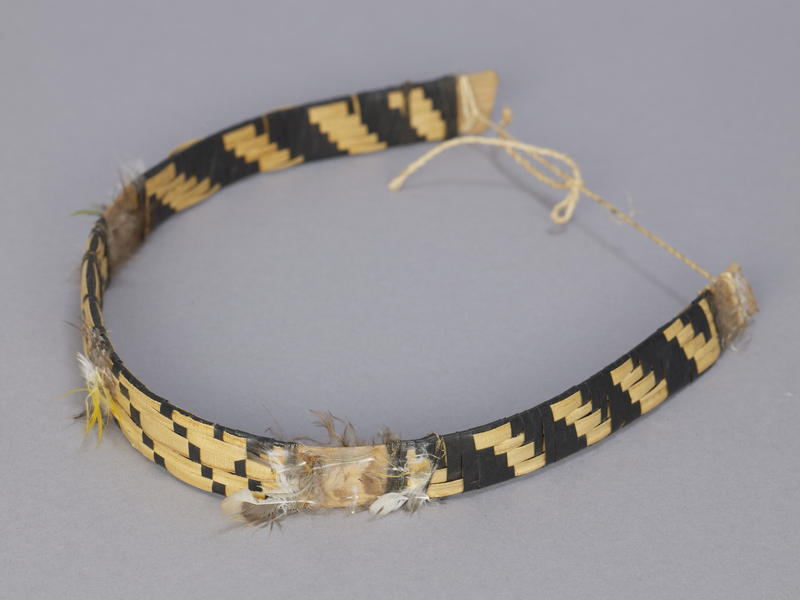 Woven headband in black and yellow bark(? ), forming diagonal patterns. Ends are tied together with a thin plant fibre string and some areas of band have been wrapped with black twine. Downy feathers are attached on the top and ends.